If your idea of a perfect day in Miami involves a swimsuit, these three unforgettable art experiences — each paired with a fabulous restaurant nearby — will change your mind. The last time I landed in Miami, I had to fish out my sweater the minute I stepped outside the airport. I’ve met Floridians who reach for their jackets when the temperature drops to 80 degrees, but that day was cold enough to chill even a hardy East Coaster. My weather app said it would stay that way for the entire weeklong tropical escape I’d planned with my best friend. A reboot of our plans was in order. Over umbrella drinks (enjoyed indoors) on our first night in Miami, we scrapped our swimsuits-and-sandals agenda and came up with three itineraries that would get us out the door every morning: Each day, we’d head to one spectacular Miami art destination before treating ourselves to a meal at a nearby, well-reviewed restaurant. We ended up experiencing a magical Miami vacation that made us fall madly in love — again — with one of our favorite cities. Nippy air may not be ideal for a beach day, but it’s perfect for a refreshing stroll. On our first afternoon in Miami, we headed to one of the world’s most ambitious outdoor art experiments, Wynwood Walls. 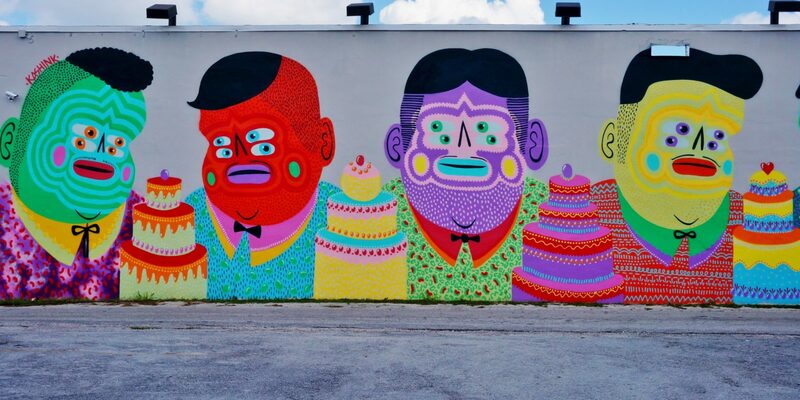 In 2009, art-obsessed Miami developer Tony Goldman transformed the windowless warehouses of the formerly industrial Wynwood neighborhood into a sprawling alfresco gallery of street art and murals by internationally famous talent. The world-class artist roster includes Shepard Fairey, Kenny Scharf, Swoon and dozens more. We wandered around from wall to wall, staring up at the vibrant artworks that, together, cover a whopping 80,000 square feet — and counting. After our mind-altering art experience, we walked a few blocks to dinner at a restaurant with a fitting name: Alter. Chef Bradley Kilgore made a name for himself by transforming the freshest Florida ingredients into exciting dishes that show off Miami’s global influences. Alter’s seasonal menu changes constantly, but Kilgore brings popular dishes back for cameos. If you spot the soft egg with caviar, truffle pearls and frothy puffs of sea scallop, order it. Another must-try? Kilgore’s beef tartare with mole, tangy cactus and sweet-tart plum. Lots of chefs plate their dishes like works of art, but Kilgore’s gorgeous presentations truly stand out — and deserve their own art show. In the meantime, Alter’s Instagram feed comes pretty close. 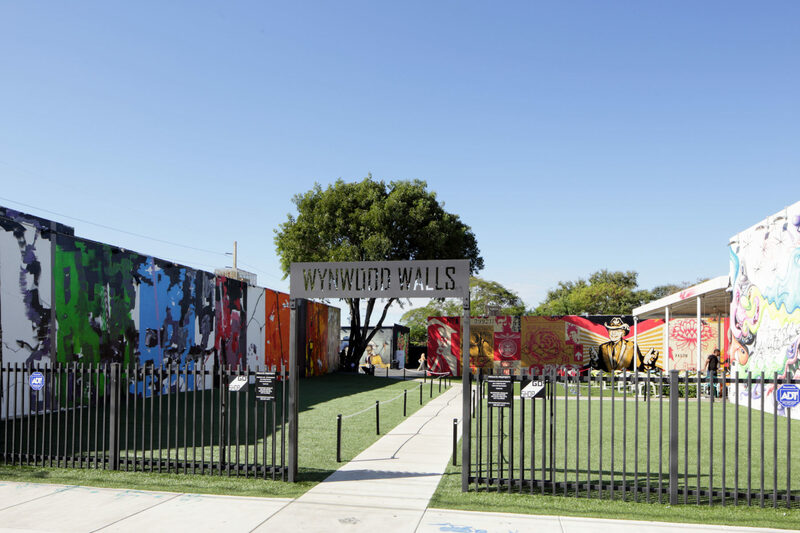 You can tour Wynwood Walls seven days week, free of charge. If you want to hit Alter for dinner, keep in mind that it’s closed Mondays — and make sure to book in advance. We headed to the waterfront near Biscayne Bay the next day to check out the Pérez Art Museum Miami. 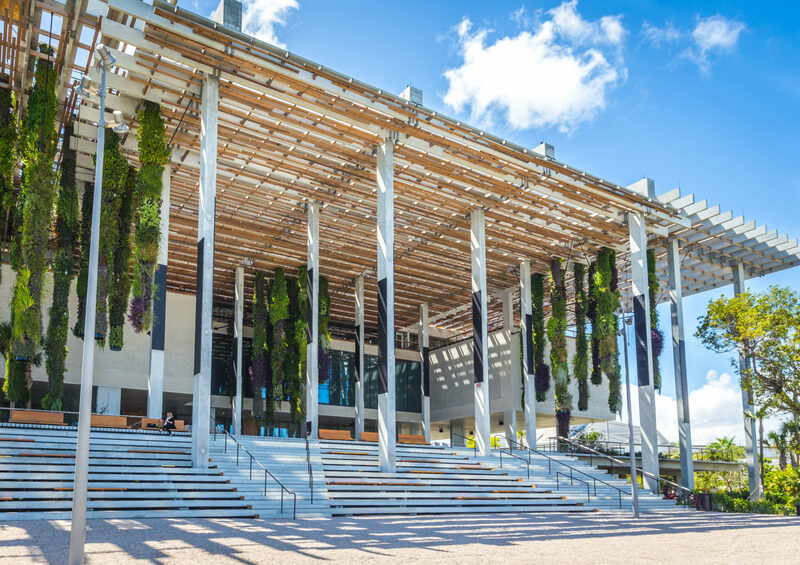 The PAMM’s new building, designed by Swiss architecture firm Herzog & de Meuron, reimagines the museum experience, seamlessly weaving indoor gallery spaces with outdoor terraces, a hanging garden and waterfront views. In the museum’s permanent collection, we pondered works by established artists like Anish Kapoor and Carmen Herrera. Next, we walked around the current exhibits by up-and-coming artists. Until spring 2019, you can catch Jamaican artist Ebony G. Patterson’s stunning multimedia exhibit, …while the dew is still on the roses…, among nearly a dozen other exhibits. Our lunch spot was a sunny outdoor table overlooking the ocean at Verde, the PAMM’s flagship restaurant and a destination in its own right. As we settled into our seats, we talked about the artworks we’d liked most — and about how excited we were to try the charred-pineapple mojitos from Verde’s cocktail list. Drinks in hand, we shared a plate of the luscious shrimp tacos al pastor with pickled onions. Next, we dove into a Verde specialty, grilled chicken cooked under a brick and topped with smoky chimichurri sauce. We devoured the juicy, crisp-skinned chicken and barely stopped ourselves from ordering seconds. You can spend hours exploring the art galleries, boutiques and food spots of the Design District, but we made a beeline for the Institute of Contemporary Art, Miami (ICA). Walking around the galleries on its three main floors, we gazed at the breathtaking artworks inside and at the electric-blue Miami sky out the windows. The museum showcases works by local and emerging artists like Manuel Solano, as well as rotating exhibits by big names like Donald Judd and Louise Bourgeois. 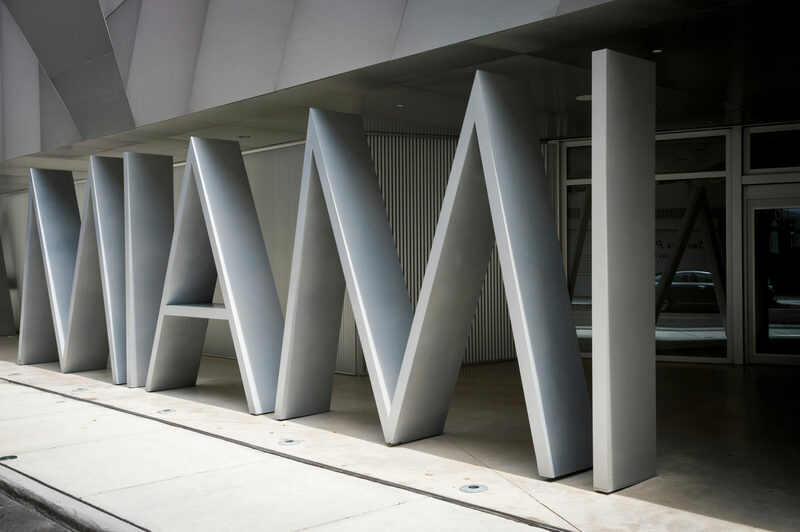 In 2017, the ICA moved into a new glass-walled building overlooking a sunlit sculpture garden that features installations by artists like Sol Lewitt (on view through May 2019). Bonus: Admission is free, which is rare for a museum of this caliber. Our lunch destination was a no-brainer: the laid-back dining room at Michael’s Genuine Food & Drink, one of my favorite Miami restaurants. 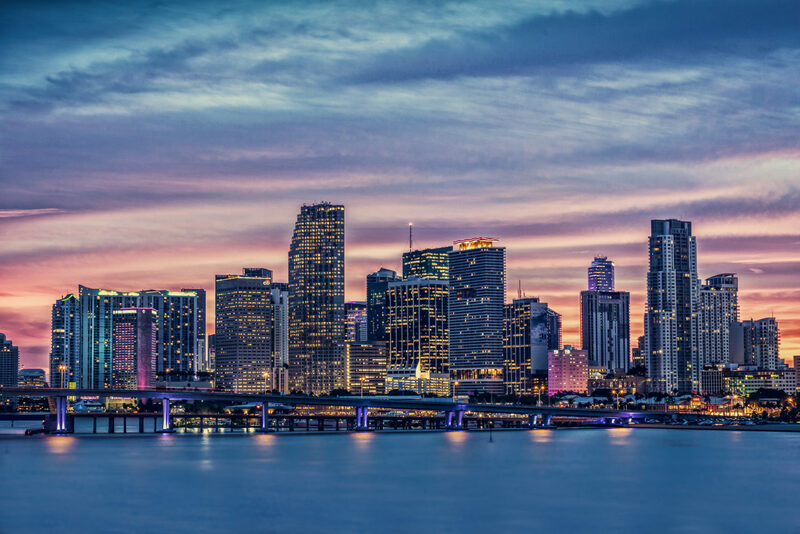 As we savored our orders of fresh, sweet Florida stone crab with mustard sauce and sambal, and a warm panini packed with tender short rib and melted fontina cheese, we thought about how lucky we were to land in Miami just as the temperature was taking a dive. Instead of the tropical vacation we’d planned, we got to see much more of the Magic City. It was an adventure we definitely plan to repeat the next chance we get — with or without balmy weather. In the Design District, stop for ice cream at the pink-drenched MadLab Creamery, from talented pastry chef Soraya Kilgore (her husband is Alter chef Brad Kilgore). Chocolate soft-serve with dulce de leche sprinkles? Yes, please. Salma A. is a travel and food writer living in New York City.